Kids have fun playing and learning about the outdoors. After a long day of activity, kids need a good, warm, comfortable place to sleep. Using one of the top 10 best sleeping bags for kids in 2019 is a way to protect your tired kids all night long. If you are not sure which sleeping bags are in our top 10 best list, just continue to read our review. It highlights those sleeping bags you need to know about. 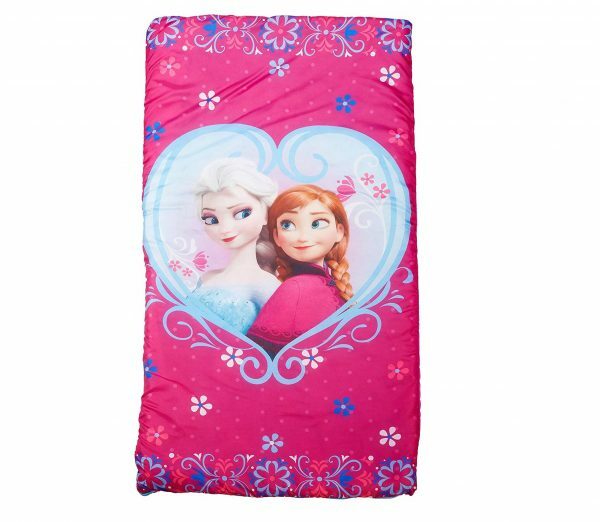 This 100 percent polyester sleeping bag measures 54 by 30 inches. More than enough room for your Frozen fan. It is an indoor use an only bag which makes it great for sleepovers with your child’s friends. It is also great when your little girl gets tired in the car during long trips. She can keep warm as you drive. 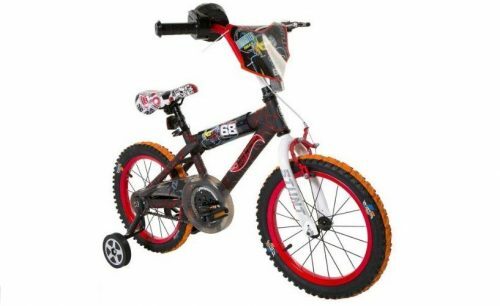 It is a great gift for a young child between 4 and 8 years of age. 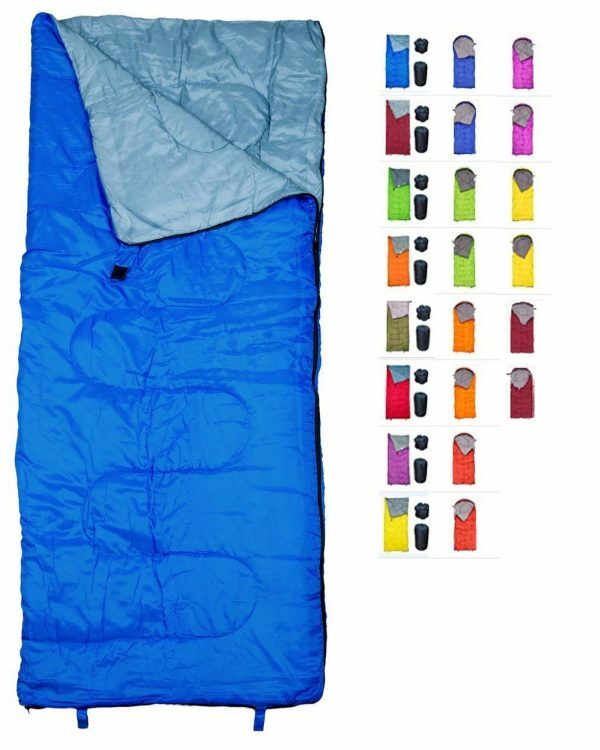 This is a great indoor and outdoor sleeping bag that works in cool weather. 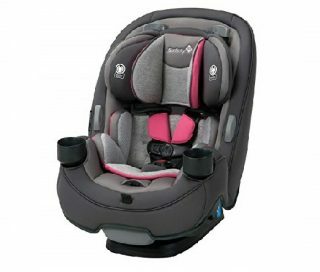 It is rated for about 40 degrees F., so you do not want your child using it in temperatures much lower than that. 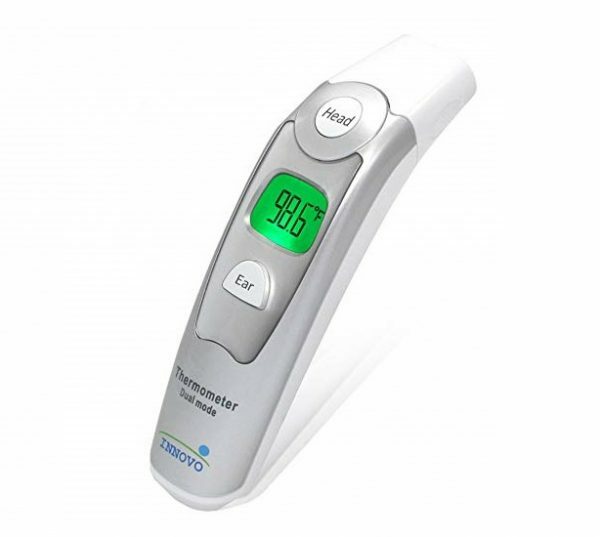 Measuring 71 by 30 inches, there is more than enough room to keep your restless sleeper comfortable while they are inside. The weather-resistant bag should keep your user warm and dry and it does provide some protection from UV rays. It is a lightweight bag and easy to pack on camping trips, sleepovers, and other outdoor activities. Plus, you can use it in the cold weather. Its lower limit is roughly 38 degrees F. But if you add another layer of blankets you can lower that another 10 to 15 degrees. A second zipper lets you stretch your legs and move your feet outside of the bag while keeping the rest of the body warm and cozy. The nylon outer shell keeps the water away, while the polyester lining provides the breathability and warmth. This makes it a good sleeping bag to use when the weather turns a bit cool. The 84 by 30-inch sleeping bag is a perfect fit for campers of all sizes. 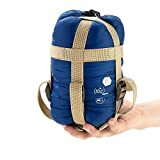 Its lightweight and small rolled up a size makes it easy to pack in a car or backpack. 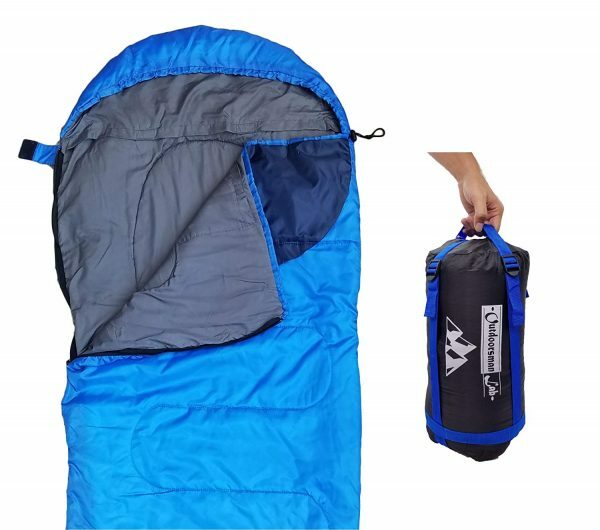 It is a great spring or falls sleeping bag. When you want to stay warm and comfortable, go with the best. 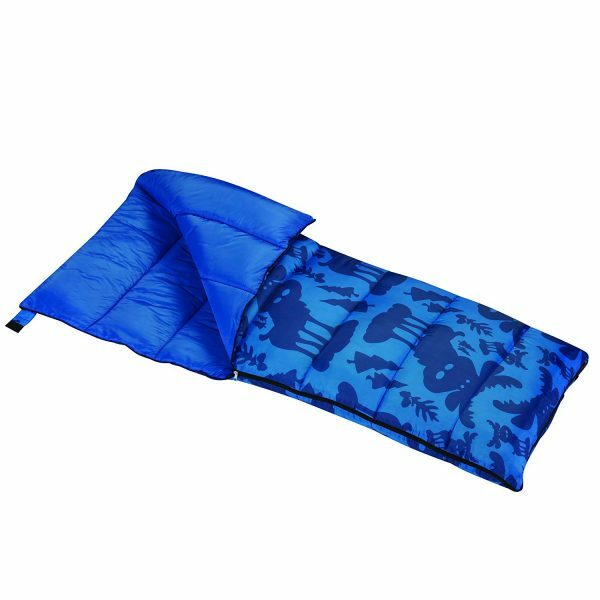 This hypo-allergenic sleeping bag is perfect for those allergy sufferers who like to camp. Help protect them from bacteria with this 40-degree F sleeping bag. 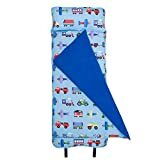 Measuring 66 by 26 inches, it is a good fit for smaller boys who want comfort as they sleep out at night. The polyester outer shell is tough and can take the rough camping treatment boys dish out. Its 3 ¼ pound weight does not weigh a camper down as they hike to their camping spot. The small size will make packing the car a lot easier as well. Coleman is a trusted name in camping equipment. This 45-degree F sleeping bag will not hurt that reputation. Made for those young kids smaller than 5 ½ feet, the thermo tech and comfort cuff technology will keep them dry and warm while they are away. When zipping up the fabric keeps itself away from being snagged in the zipper. This makes for an easy escape when breakfast time hits. It comes in a variety of color as well. Coleman has the quality you need when you need it most. Even little children and infants need a good sleeping place when they are not at home. 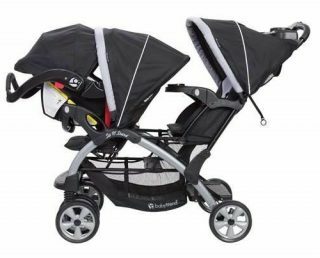 It comes with its own pillow and blanket giving the child a very secure feeling. 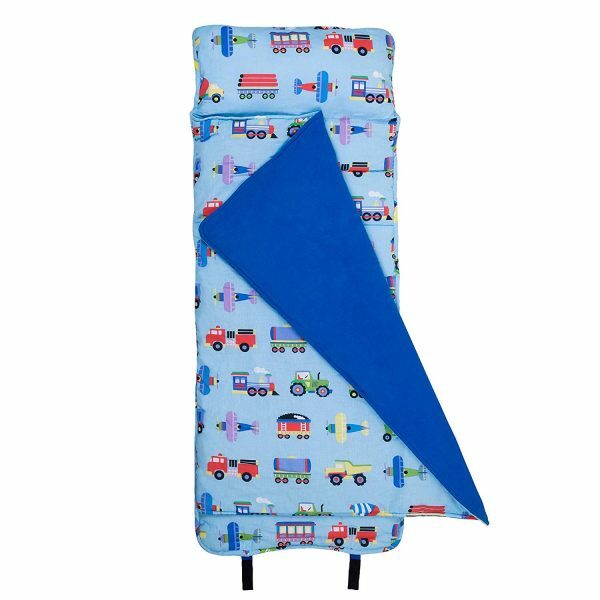 Made from a variety of fabric, this nap mat is specifically designed for pre-school nap times. 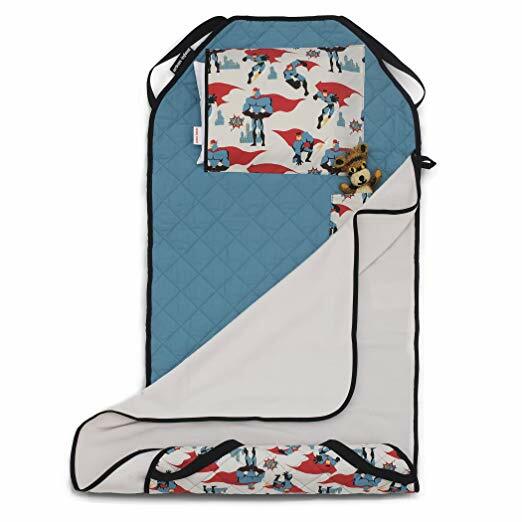 A secret pocket lets your child keep his favorite toy near him as he sleeps. Easy to keep clean, just use cold water and low dryer heat. 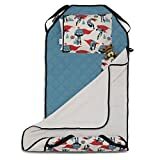 This polyester bag is easy to keep clean and it will provide a comfortable napping area for your young child. Your child can dream about Disneyland once they get inside the bag. Measuring 46 by 26 inches, this is a bag for small children at daycare or preschool. Perfect for nap times, it comes with its own sling bag for easy transportation. 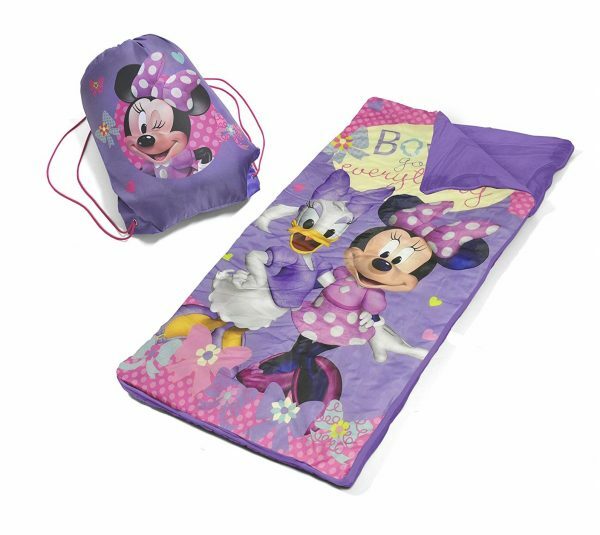 Besides Minnie Mouse, there is a variety of Disney characters to choose from Your child will be happy to have their favorite with them when they go to sleep. 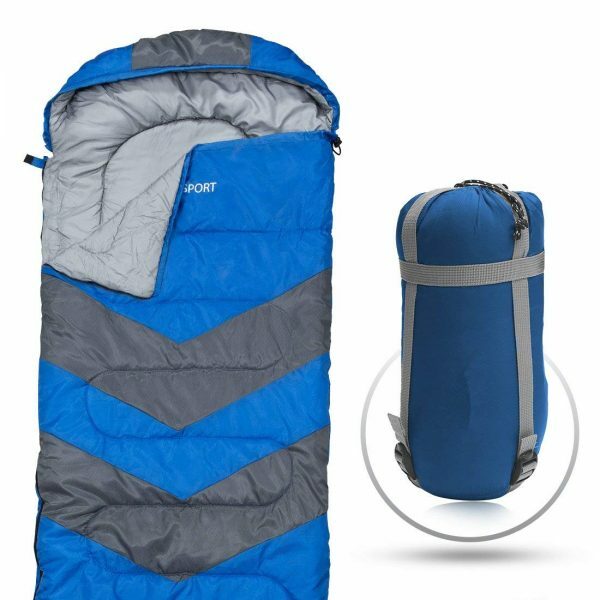 When you get up in the mountains, the temperature can drop dramatically That is why this 20-degree F. rated sleeping bag will come in handy. Its 100 per cent polyester fabric construction is designed for warmth and comfort. The sleeping bag will work well in warm weather also for those who can fit in its approx. 87 by 30 -inch dimensions. 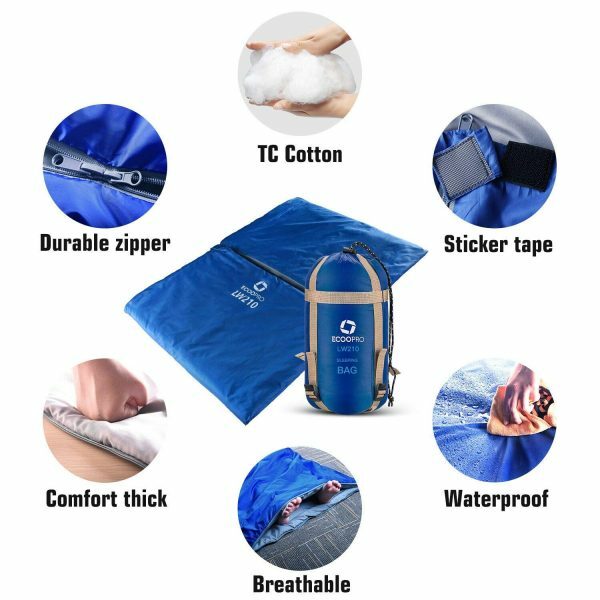 The compression carrying bag ensures that when rolled up the sleeping bag will stay small as you hike or backpack into the wild. No matter where you are, when it comes time to sleep you want a comfortable bed to crawl into. Whether you are young or old, you do not want to feel the hard ground or floor when you need your rest. 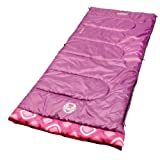 That is why the top 10 best sleeping bag for kids 2019 is so important to have around your home. You and your family get comfort, warmth, and a soft place to sleep. 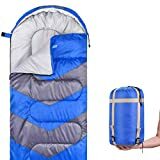 Camping comes with enough problems so take one or to away when you use one of the best of the best sleeping bags in 2019.